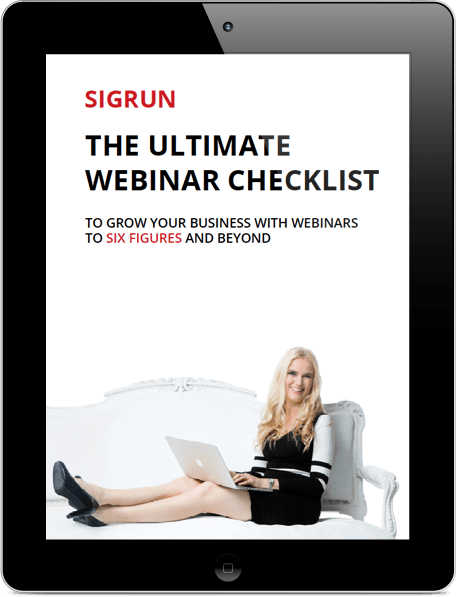 Get the Ultimate Webinar Checklist now! Over 50 steps and action items to create successful webinars. This is the checklist that I’ve used with 100 webinars in 1100 days. Sign up and receive this comprehensive checklist that will ensure you miss nothing when creating your webinars.